The chief content officer of Hearst Magazines is overturning a style taboo...and people are loving it. 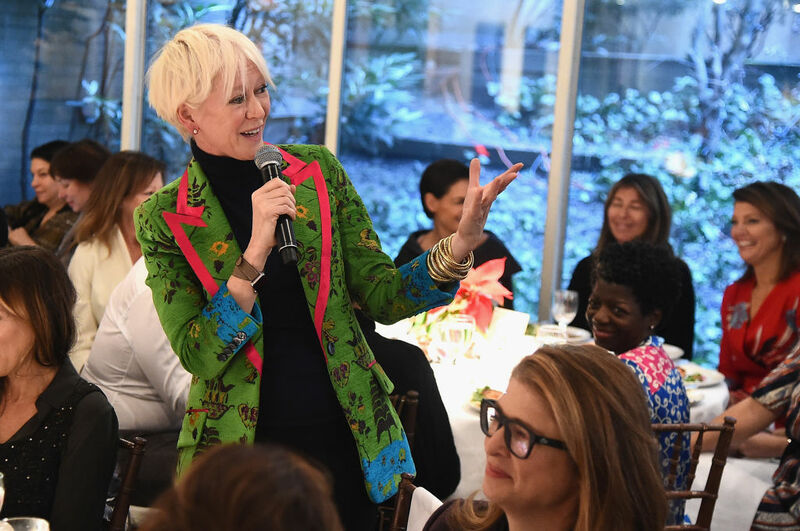 If you follow Joanna Coles, Hearst Magazines’ chief content officer, on Instagram (and if not, you probably should) you might have noticed the blazer. The bold, patterned, very recognizable, green blazer. Coles has posted images of herself wearing it again and again —at SXSW, hosting the Hearst 100 luncheon, and more. Last month, she shared a throwback shot of her green-blazered self at The Girlboss Rally. “The most over-worn blazer in history but celebrating my similarity to a leprechaun this St. Patrick’s Day,” read her humorous and very on-point caption. That’s right. Coles, the former editor-in-chief of Cosmopolitan who is often photographed for her inimitable style, has consistently repeated a recognizable piece—leaving a trail of evidence on social media—and she’s owning it. Back in October, wearing a different pair of boots, Welteroth even joked that she was “cheating on” her go-to pair, highlighting that wearing something again and again is a sign of love and appreciation for a worthy item, not something to feel guilty about. Then there’s actress Tiffany Haddish, who recently drew the media’s attention when she wore the same Alexander McQueen dress to three big events, including the Academy Awards. Haddish recently told Glamour that multiple people, including other celebrities, have reached out to her since the Oscars to praise her outfit repetition. Coles, a powerful woman to whom so many people look for fashion inspiration, is doing just that.